No one knows camping and backpacking like the folks at Ski and Bow Rack! Whether you're planning a weekend camping trip in the Weminuche Wilderness or thru-hiking the Continental Divide Trail, make sure a trip to see us is on your checklist. Need to get geared up for your next camping trip? Ski and Bow Rack is the place to go to get all the gear and expert advice you need. 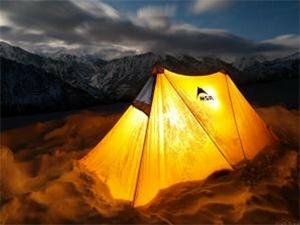 We carry all the top brands for camping, hiking, and backpacking, including Camelbak, Osprey, ENO Hammocks, Geigerrig, Altra, Oboz, Darn Tough, Granite Gear, Katadyn, Sawyer, Nalgene, Leki, Eureka, MSR, Platypus, Sea to Summit, Thermarest, and The North Face. Our knowledgeable staff can outfit you with anything from propane to bungee cords, tent repair tools, lanterns, stove parts, day packs, and car camping supplies. Let Ski and Bow Rack be your camping headquarters!